My girl's first ever bedroom way back at our apartment. Looking at it, made me miss her babyhood and it seems wasn't that long ago. We could have made it all pinky but we thought it wouldn't be an ideal colour to sell. As I've mentioned before staying that long was not part of our plan. 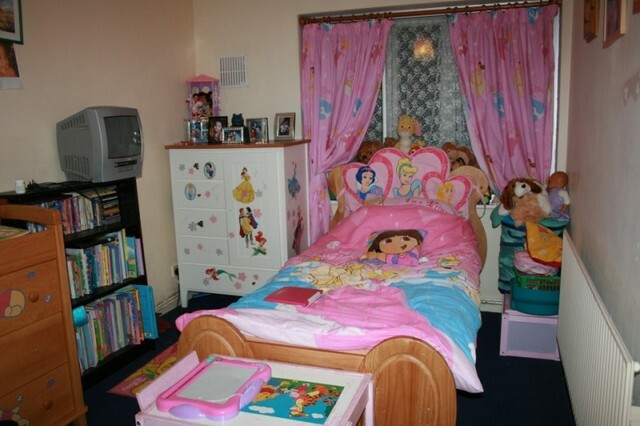 I think we did great beautifying her room, more credit to Daddy for choosing well with the furnitures. K love Wennie the Pooh back then. It was her favourite character as well as Disney princesses. Oh, gone are those days.